How to Sleep Train Yourself as a Parent! I could never reconcile with the concept of sleep training. I make no secret of the fact that it doesn't sit well with me. Putting 'training' and 'baby' in the same sentence seems wrong to me in more ways than one. And before you say it, yes I understand that there are working moms out there who need to get their sleep. I also know that some babies are poor sleepers. My only argument is that we are the ones who decide to become parents. The baby has no say in this. We know what's coming when we have a baby on the way. Less sleep and lots of work are part of the package. So the onus really shouldn't be on the baby to 'learn' to do something that goes against his or her very nature. Babies shouldn't have to be trained for anything except to be babies, as nature intended. They expect love and attention, and they deserve it for all the joy they bring into our lives. Instead of sleep training the baby, let's just take responsibility for ourselves as rational, thinking adults and put the spotlight on ourselves. If you have a new baby, it goes without saying that you're sleep deprived and exhausted. 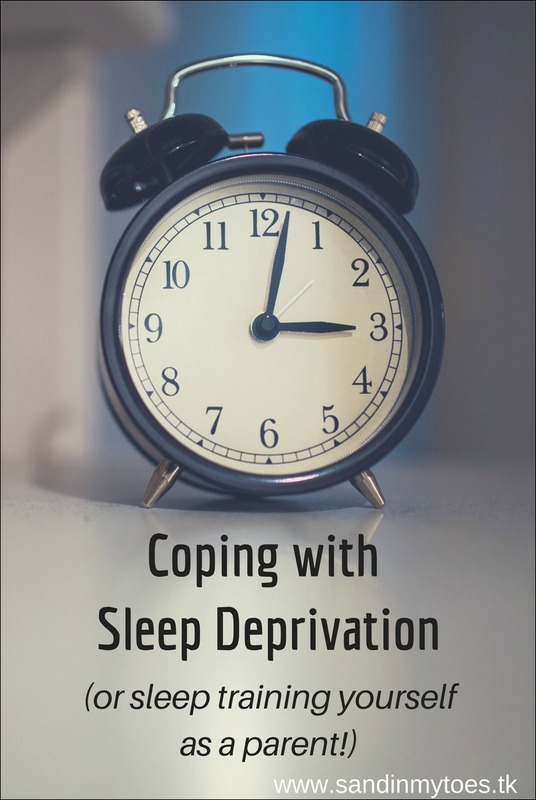 What you need to do is train yourself to deal with the sleep deprivation and have a strategy in place to cope with the inevitable. I know your mind fills up with a million things to do when the baby is asleep. But you need to prioritize the things that actually can't wait until morning, or can be done at another time of the day. Your sleep is important. It's the one thing that will help you function productively, and efficiently. It's what will keep you from putting yogurt in your coffee, or dirty laundry in the closet. You may have to make some sacrifices, but sleep early when you can. 2. Keep your baby close to you. It seems that 'co-sleeping' is thought by many to be a dirty word. I fail to understand why something as basic as this has negative connotations. Humans have been doing it for eons, and continue to sleep close to their kids. In fact, it's one of thing that have helped us flourish and become predator food. You don't have to put your baby in your bed, but you can have them in the same room so the night wakings don't take a toll on you. As a mom who co-sleeps, I can only imagine how tiring it would be to get out bed and feed a baby so many times a night. If you have to go to work the next day, it's a disaster. Don't go into the parenting jig with misconceptions about baby sleep. There is no such thing as a "baby sleeping through the night". Think about it - do you sleep through the night? Do you never feel thirsty or uncomfortable at any point in your sleep? Educate yourself about what normal infant sleep is. This Timeline of Baby and Toddler Sleep is a good place to start. Understand the effects of misguided 'training' methods. The scientific proof against it is all there - check out Evolutionary Parenting for the facts. Every baby will not sleep well, no matter what you do. They may suffer from colic, reflux, or other medical issues. Once you have that investigated, move on to gentle techniques to soothe your baby to sleep. Don't be afraid to ask for help. Also, ask for help for you. If you have family or a close friend who can babysit once a week, take that time out to recollect yourself. Motherhood is overwhelming, but with good support it doesn't have to be. 5. Minimize screen time before bed. You may have good intentions hanging around those baby forums at night, but believe me, they only make things worse. Screen time before bed is the worst thing you can do to get whatever little sleep you could get with a baby.In fact, minimizing screen use throughout the day would have benefits of its own. You may have heard about how good food affects your behaviour. Eating healthy instead of having more caffeine and alcohol will keep you more alert (contrary to popular belief). It will also keep you up to the task of attending to a baby at night, and give you better quality of sleep. A healthy body is a healthy mind, and nutritional deficiencies can negatively alter your mood. What I hope to achieve through this post is an awareness that you do not need to turn to extreme measures to achieve something that is physiologically deterring - a baby sleeping through thenight (unless you have been blessed with a good sleeper). There's always a better way of dealing with sleep deprivation, and it's really up to you to choose what you can do to make things better. I'm not an expert. But I do know there are experts out there who can help you - people who believe in peaceful and gentle methods of dealing with the stress of a new baby.